The huge success of the bike lanes and the implementation of the public bicycle system has increased the number of Cyclists in Seville from aprox. 6000/ day in 2006 to more than 60.000 / day in 2010. This gives reason to the consideration of offering public transport service to cyclists from outside the city that helps them to “jump” the highway-belt and get to the the urban cyclable area of Seville. handling problems in the narrow streets of Seville. 3. External support on the front of the bus. 4. 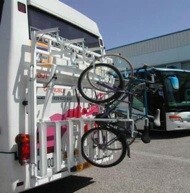 External support on the back of the bus. an acceptable capacity to meet a significant market demand. On an “urban” route the number of users who use bikes as a part of their trip would at least double if the service was offered. While at the moment there are at least 220 persons who use bikes, this number would rise to a potential demand of al least 505 users per day. On an interurban route the number of actual bicycle users is not that high, so the number would multiply by 5 if the service was offered. While at the moment there are at least 47 bycicle users amongst the passengers this number would rise to a potential demand of at least 331 users per day. 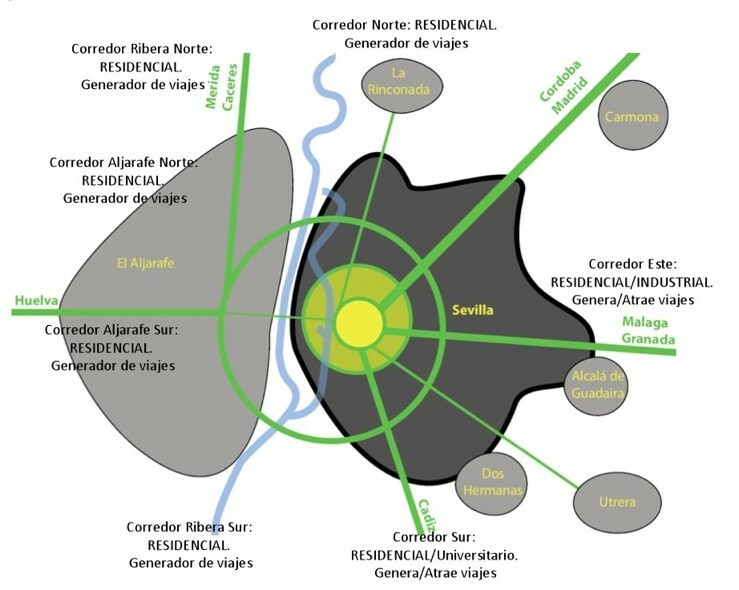 Finally, based on the structure of the mobility of Seville and its metropolitan area the study suggests some urban and interurban lines in which to identify conditions for expanding the system.